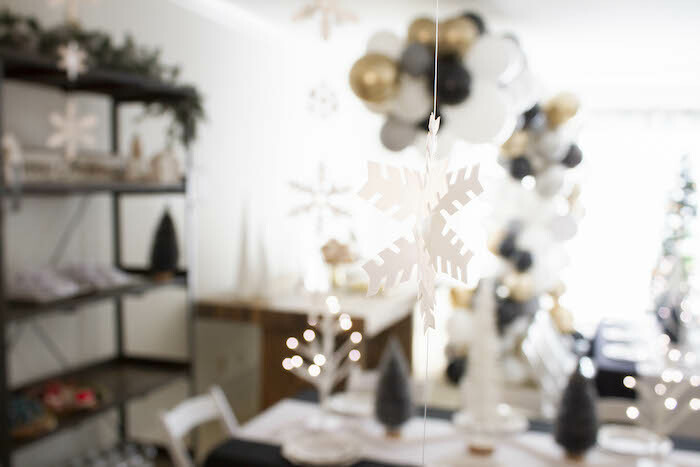 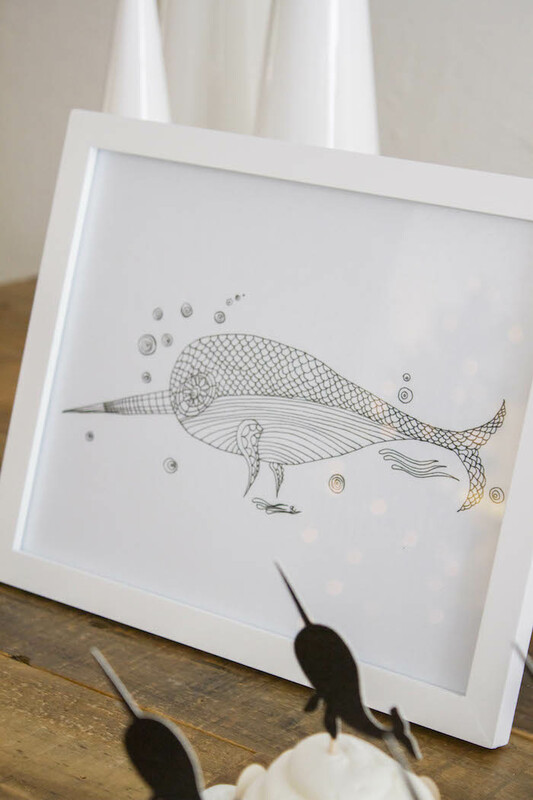 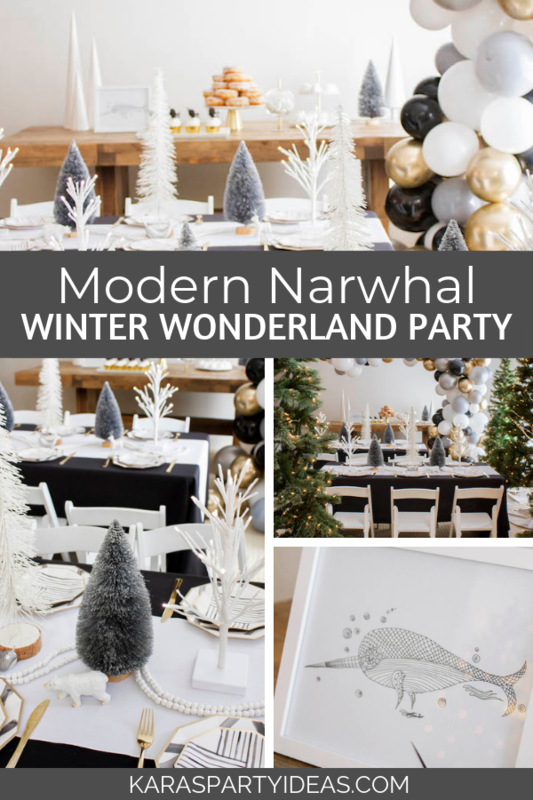 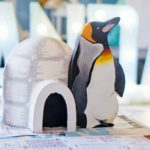 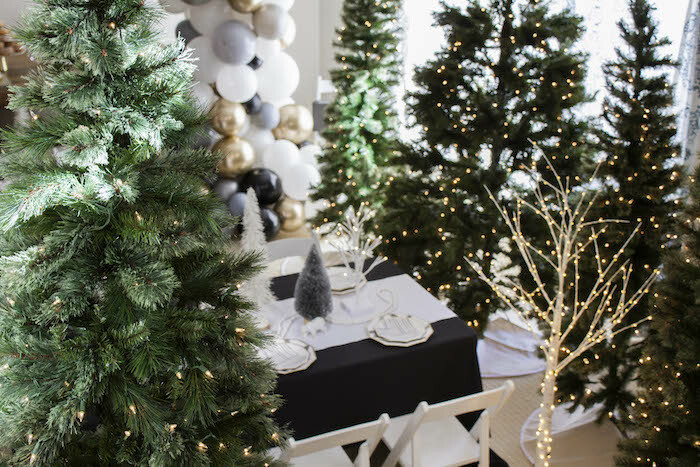 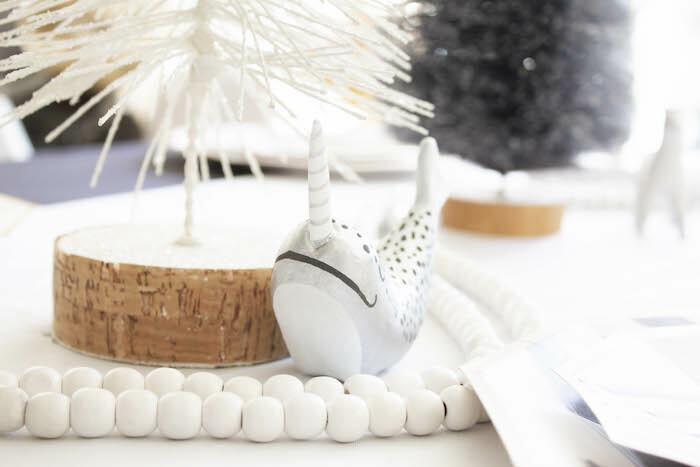 If you don’t believe in magic, then you certainly will; this Modern Narwhal Winter Wonderland Party by Juliette Kim of Confetti + Wishes, out of Belmont/CA/USA, is about to give you quite the thrill! 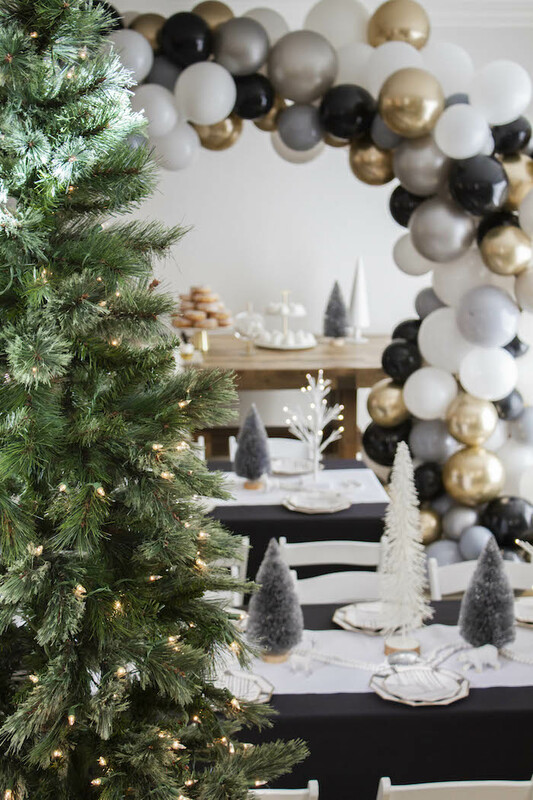 …From the gorgeous monochromatic color palette to the gold details and more, this celebration is packed with ideas to adore! 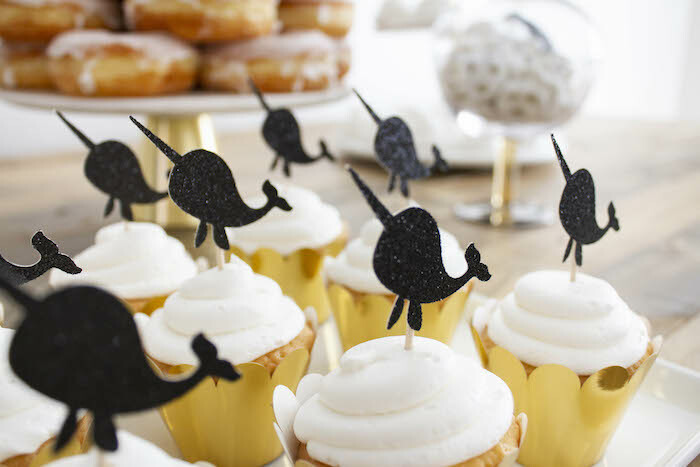 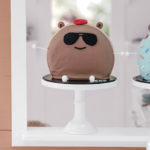 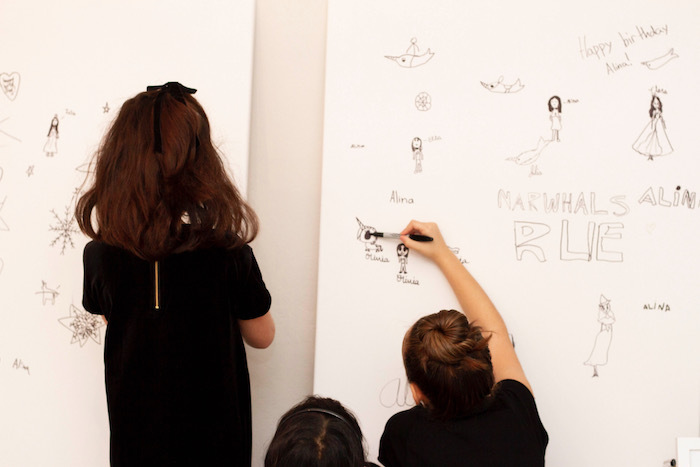 “For this narwhal themed party, we wanted to make it modern and less characterized by using an unexpected color palette. 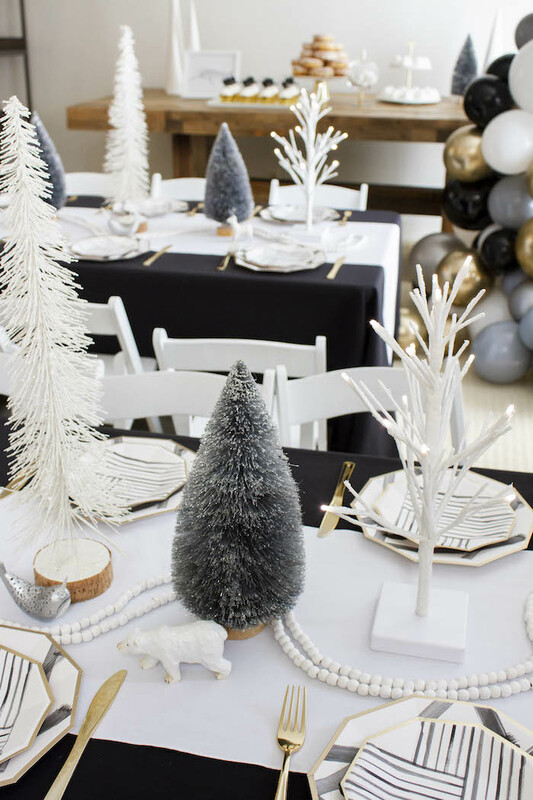 The look and feel we were going for was a Winter Wonderland back drop but with a modern twist. 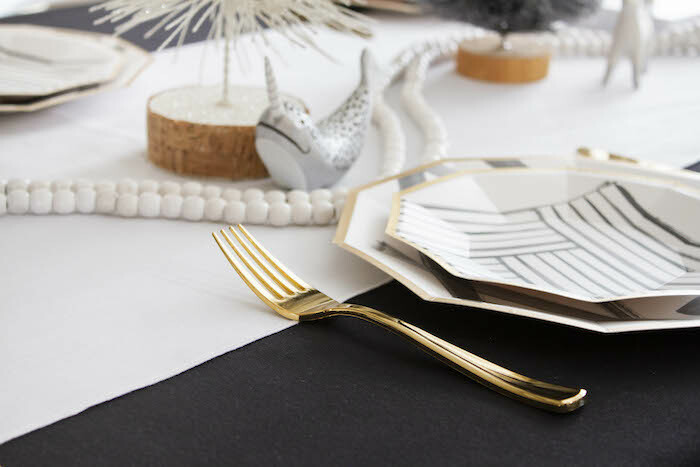 I had been eyeing Harlow and Grey products for awhile so we used this as a perfect opportunity to use their plates (the Rebelle Collection) as the inspiration for the party. 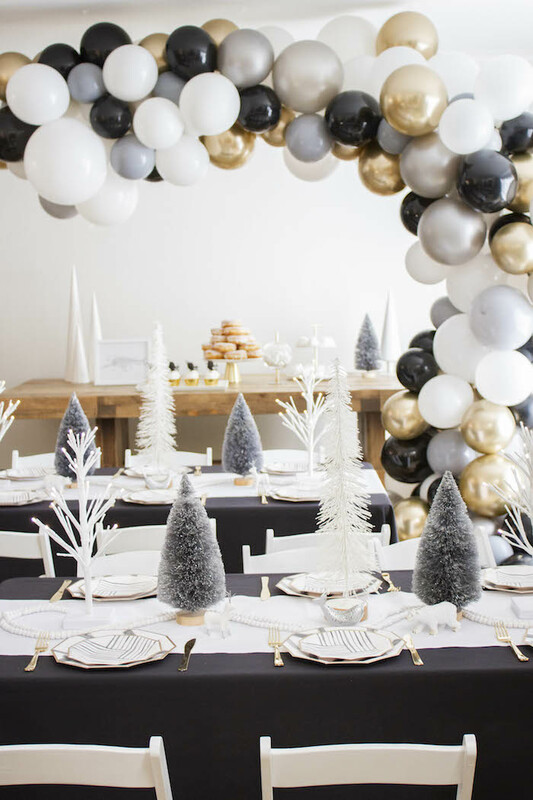 The balloon garland was made with balloons using colors from the plates. 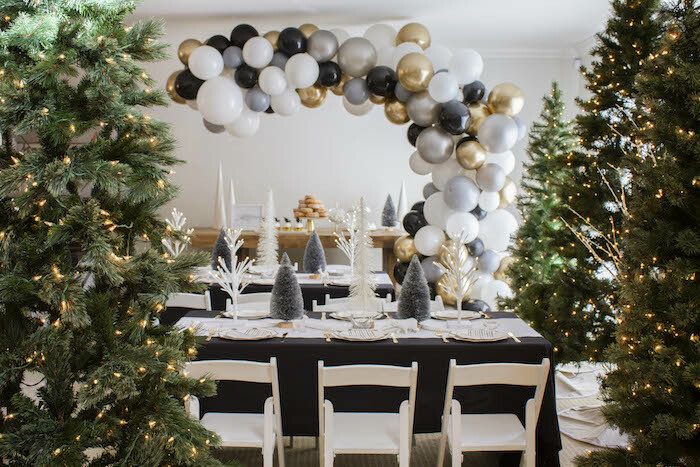 We started blowing up the balloons 2 days before the party and finished it the night before! 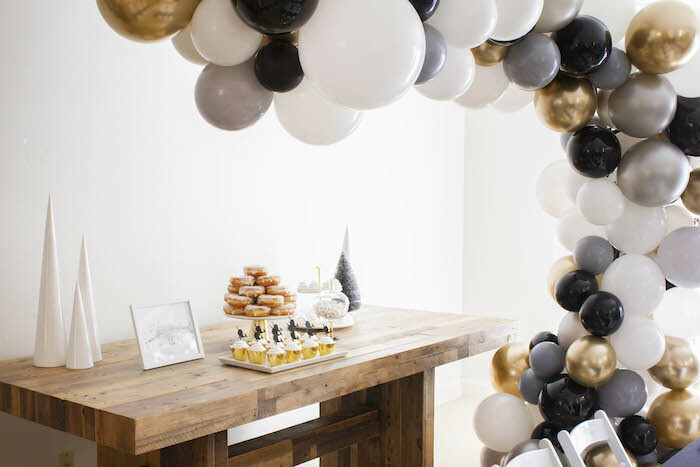 For the dessert table, we wanted to enhance the modern theme by making it very minimal. 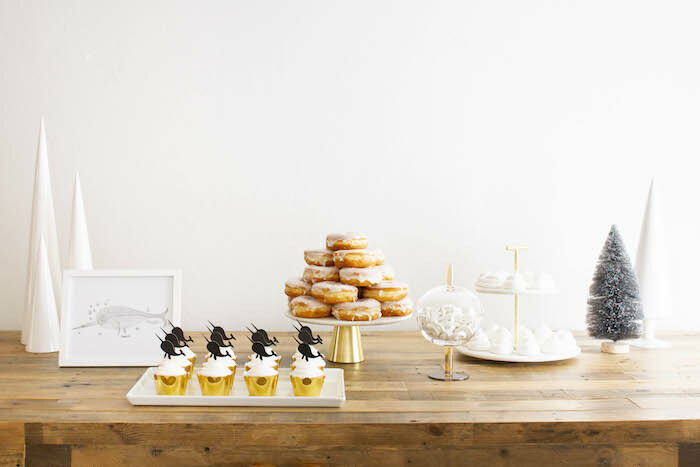 We knew that since there were going to be less desserts on the table, it had to be highly edited and we had to definitely use high quality serving ware. 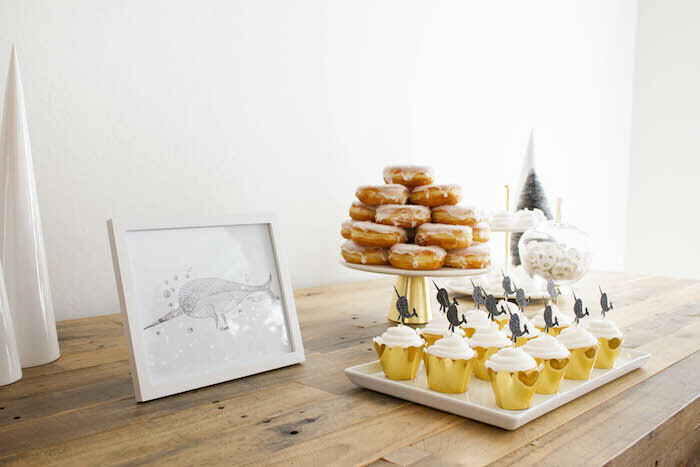 Both the marble cake stand and 2-tier marble tray are from West Elm. 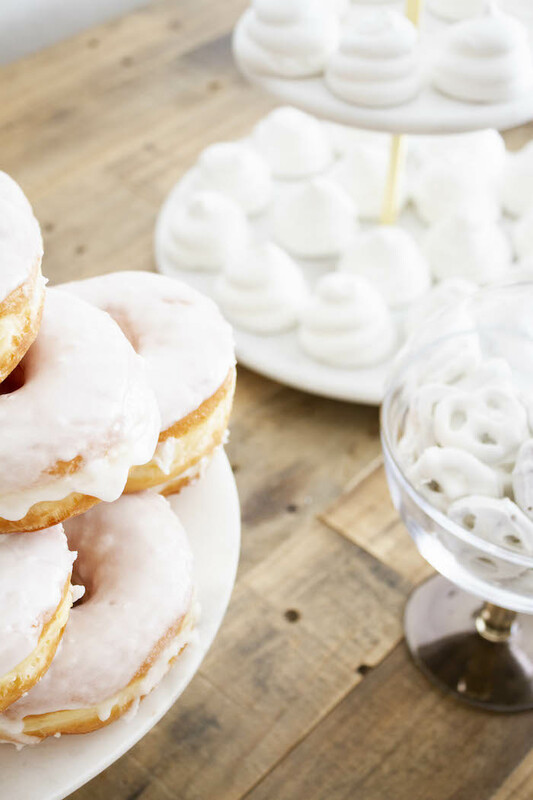 The birthday girl does not like cake so we did a tower of donuts frosted glazed donuts from a local shop called Chucks Donuts. 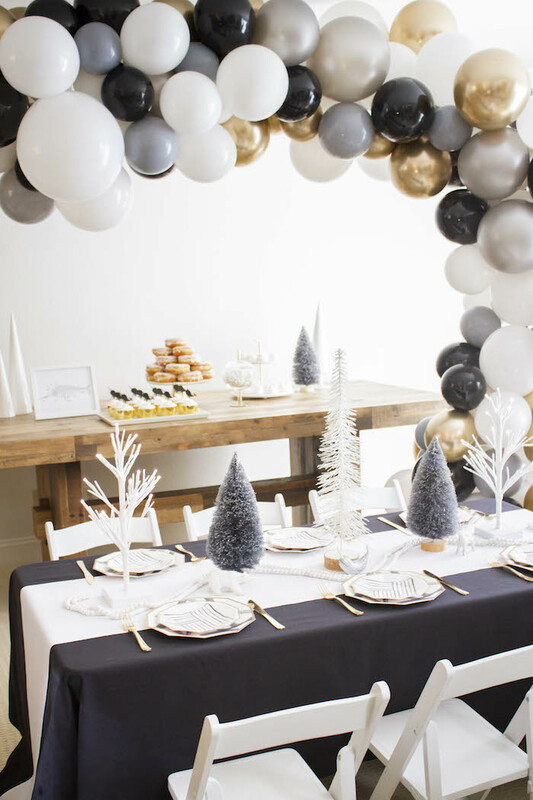 We wanted most of the dessert table to be white to go with the Winter Wonderland theme. 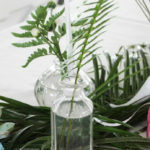 Thankfully, we found this great futuristic-looking glass candy jar from CB2 and thought it complimented the rest of the dessert table very well. 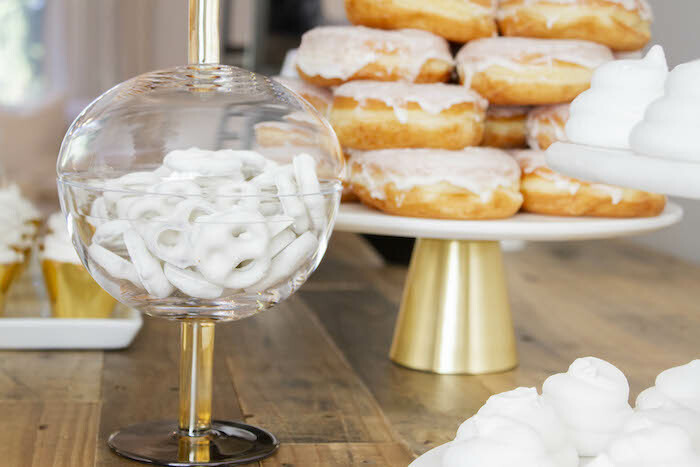 We filled the candy jar with white yogurt covered pretzels-which were a very inexpensive and an easy way to fill up the table. 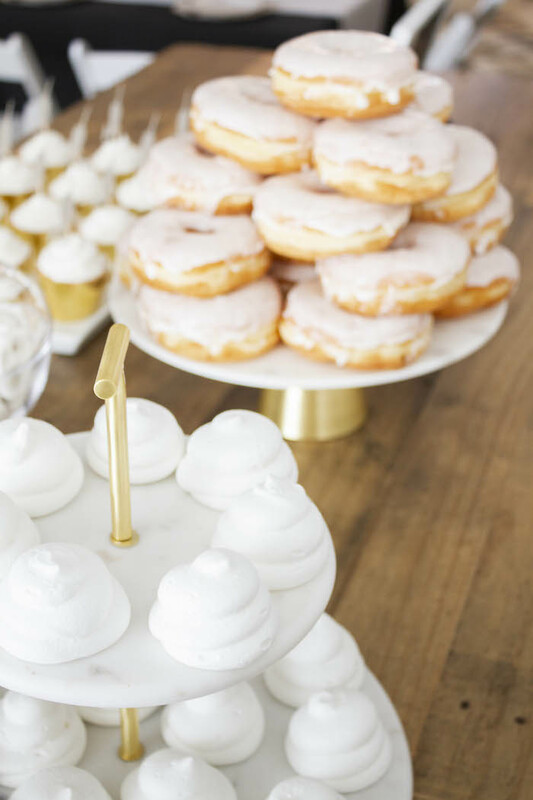 The white meringues were special ordered from Cake Creations and were super fluffy and chewy at the same time. 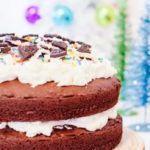 The best combo!